Perugia Prepo area, part of a villa of great size rifinitissima, new never lived with two entrances with 400 sqm garden. Arranged on three floors and consists of: ground floor (basement) with large basement of 90 sqm finished with chimney and kitchen, large bathroom and laundry room and cellar. 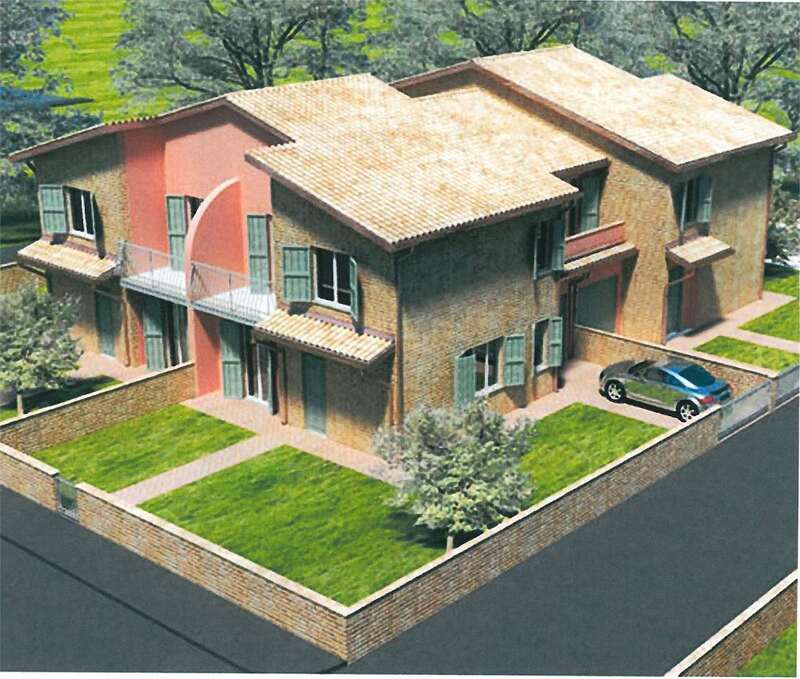 Ground floor with living room of 50 sqm plus study (or 4th bedroom), kitchen, bathroom, complete with a porch of 50 sqm. 1 floor with three bedrooms and two bathrooms. the first floor has its own separate entrance. Private garden partly paved in stone. The villa is new and never inhabited, finished with quality materials.